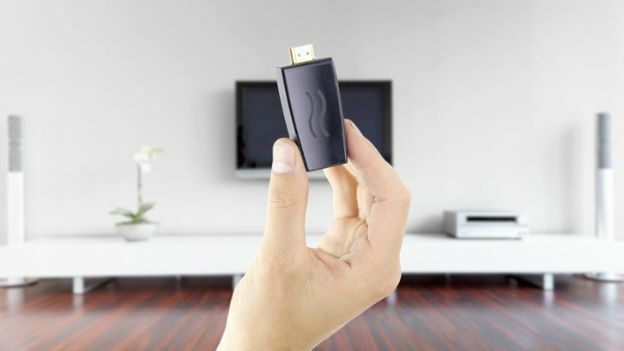 Airtime has already gained popularity as a startup with its wireless dongle that's capable of projecting any image from your computer to a HDMI display. Cable connections are seemingly becoming a thing of the past with Airtame's wireless dongle that allows you to throw the image from your computer screen to any HDMI display. The wireless device from Airtame, a startup firm on crowdfunding site Indiegogo, has already sold out due to growing popularity. The early-bird price was $69 but all that's left now is two devices for $169. More single units are expected once Airtame catches up with its increasing sales. Theoretically you could load up a YouTube video, go full screen, and send it to your TV to enjoy the experience from the comfort of your sofa. It's still too soon to say what's exactly possible though it has reached a stretch goal that will make it dual-core. Airtame should be great for business meetings and schools as it also shares across computers. The company is also rumoured to be developing a mobile app for iOSand Android devices, provided it reaches its million dollar goal. This could mean throwing anything from photos and videos to games from your smartphone or tablet on to the big screen.